Guess What My Hearing Aids Heard? Normally when I’m in the great outdoors, I prefer to take my hearing aids off. The sound of wind blowing through my behind-the-ear devices unnerves me. ‘WHOOSH’ is the most excruciating white noise. I must’ve been in a hurry to become one with nature, or I didn’t want to walk alone without a way to hear well. Either way, I had both hearing aids in when I pulled into the parking lot of a local nature center. As soon as my flip-flops hit the trails (not the best hiking footwear, but I was in a hurry for my solitude), I heard a series of beeps in my right ear. Then silence. One of my hearing aid batteries had died, which meant I could only hear out of my left ear. I walked with caution since I now only heard half of what lurked in the trees, and my thin-soled shoes struggled on bumpy gravel paths. Occasionally, my left ear caught the rustling of tree leaves, whooshing wind, or other hikers chatting as they sped by in their Nike best. It was enough environmental sound to put me at ease and not worry about personal safety. All was peaceful. I could breathe deeply, reflect. Twenty minutes of the walk were spent not walking, but gazing into a shallow creek. I watched a small fish swimming amid rocks and murky water. I was tempted to dive in with the guppy, but then noticed wind-blown garbage mixed with some of those rocks and started walking again. On my way back to the parking lot, my ears began hallucinating. I heard chldren laughing and squealing far away into the trees. I stopped to listen, and the chatter ceased. My flip-flops took off again, and the banter continued. I hadn’t passed any walkers since before the guppy creek, and I had a ways to go before hitting the parking lot where folks surely congregated. The hooting and hee-hawing sounded like my kids, who were at home with their daddy four miles away. Was my one working hearing aid that powerful? The tiny flying things were painted deep blue and velvety gray. No hallucination. Just beautiful bluejays and robins, singing and soaring amid treetops. For the first time since my hearing loss diagnosis 10 years ago, I could hear squawking and hooting, shrill whistling and soft sopranos. The symphony of birds. What a miracle for me to hear. At least in my left ear. I never fail to “thrill” in hearing a “I heard it AGAIN” story. My heart pounded in anticipation right along with your story. I suppose only those of us who are “hearing again” as well fully understand this gift. The first time my son heard birds (the day he got his hearing aids), he turned to me and said, “Mom, what is that sound?” When I told him, he responded, “they sound so happy! Now they’re not so scary!”. He had always been scared of birds. His aids really help him experience God’s magnificent world. Denise and Beth – Thank you for your comments. I know you both understand what it is like to hear something that had been silent for so long. Beth, I particularly like your point about hearing aids (or cochlear implants) helping someone experience God’s world. Profound and true. It made me so happy to read this!!! 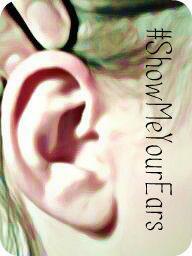 I love to read your writing and to know what your hearing loss is like for you. I’m so glad you got to hear those birds. It reminds us to appreciate things you might take for granted. I wish tohose loud birds that wake me up in the morning would move to your house for you to appreciate!! They like to chirp at 5am! A North American study involving 92 individuals with an average age of 69 years examined the expectations of new hearing aid wearers and their subsequent actual experiences.Adjustments neededPeople who have never used hearing aids before have extremely high expectations about their new devices but they are often disappointed in their first year of active hearing aid use because the devices take so much getting used to. But once people get used to life with their hearing aids they find that they are satisfied with the results. Keeping a fresh blog is hard and very tiresome. You might have pulled it off well though. I have read the article,and i want to say thanks to you for exceptional information.You have provided deep and easily understandable knowledge to us. I don’t really understand what “hearing again” is but I’m new to the world of hearing aids. I loved your article though, you have a great writing style. My favorite resource so far is HealthyHearing.com. Do you recommend any other sites, or forums possible? Sarah – Thank you for your nice comment. Two sites I have found helpful are http://www.HearingLoss.org (the Hearing Loss Association of America – HLAA) and the blog HearingElmo.com, written by my friend Denise Portis. If you are on Facebook, there are multiple hearing loss forums, including Hear Ya Now and Community for the Deaf and Hard of Hearing. HealthyHearing.org, as you mentioned, is also an excellent resource.